Taking a river cruise can be a great way of exploring places you might otherwise never visit - and for 2016, there are more choices than ever before. Whether you want to travel the length of the Loire river in France or explore the magical far-flung sights of China, Burma and Egypt, there's something for everyone. To help you choose the perfect trip for your next holiday, Cruise Critic has selected the very best river cruise lines of the year. AmaWaterways won the title of Best River Cruise line for 2015, thanks to their constantly expanding fleet as well as their partnerships with both Disney and Backroads Tours. AmaWaterways' partnership with Backroads Tours means the river cruise line was also named Best for Active Cruisers. The company is currently offering cycling tours of the beautiful Danube region and trips to the Mekong in Asia will join the line up in 2016. The Best Itineraries accolade went to CroisiEurope this year: the company built the Loire Princess specifically to navigate the twists and turns of the French river and the cruise line have the Elbe Princesse ready to go for 2016 too. The Loire Princess also won the title for Best New Ship in 2015. The innovative design means the ship is the first to have the chance to travel the Loire River. 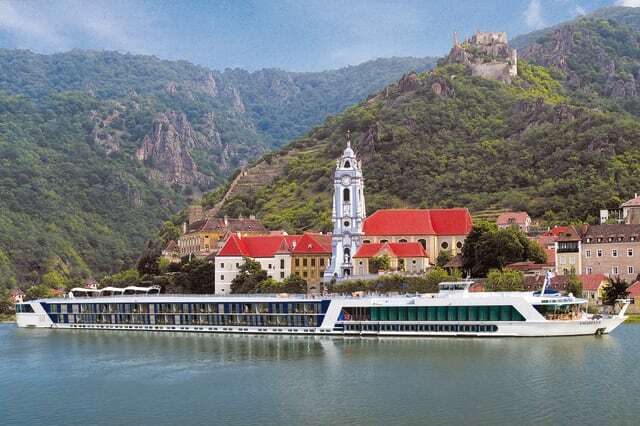 To find out which other river cruise lines won this year, take a look at our slideshow below. The Loire may be France's longest river but CroisiEurope's Loire Princess is the only cruise ship to travel its waters. The efficient dual-paddlewheel design means the ship is the first to have the chance to travel the Loire. Partnerships with Disney and Backroads Tours has cemented AmaWaterways' place as the country's best river cruise line. The line is constantly expanding and is attracting new and younger passengers, as well as families. Sanctuary Retreats has river ships in plenty of exotic locations, including China, Egypt and Burma. Sanctuary also boast some of the largest and most luxurious cabins in the industry, the Ananda's cabins are more than 300 square foot in size and all have balconies. AmaWaterways collects another award thanks to its brilliant dining experience. Guests can expect to enjoy quality ingredients in the specialty restaurants on board with a range of cultures represented on the menu as well. Tauck River Cruising takes the title for Enrichment this year with the line dedicated to creating "authentic, enriching travel experiences that enhance people's lives". The line offers family orientated experiences ranging from scavenger hunts to cooking demonstrations. Uniworld has gained attention as a result of its easy blend of active excursions and behind the scene looks at the destination of the day. All Uniworld excursions are broken down by activity levels which means there really is something for everyone, no matter what your fitness level is. Not only do AmaWaterways have bikes on board their ships, they've partnered with tour company Backroads to bring a series of road biking and hiking tours to their cruises. Although cycling tours of the Danube are what the company is currently offering, trips to the Mekong in Asia is what can be expected in 2016. Emerald Waterways has set itself apart from the rest by providing top quality experiences for great prices. Complimentary shore excursions, transfers and free beverages are just some things you can look forward to with Emerald. CroisiEurope offers a number of unique itineraries that cruisers won't be able to find with other lines. The company built the Loire Princess specifically to navigate the twists and turns of the Loire River and the cruise line have the Elbe Princesse ready to go for 2016 too.